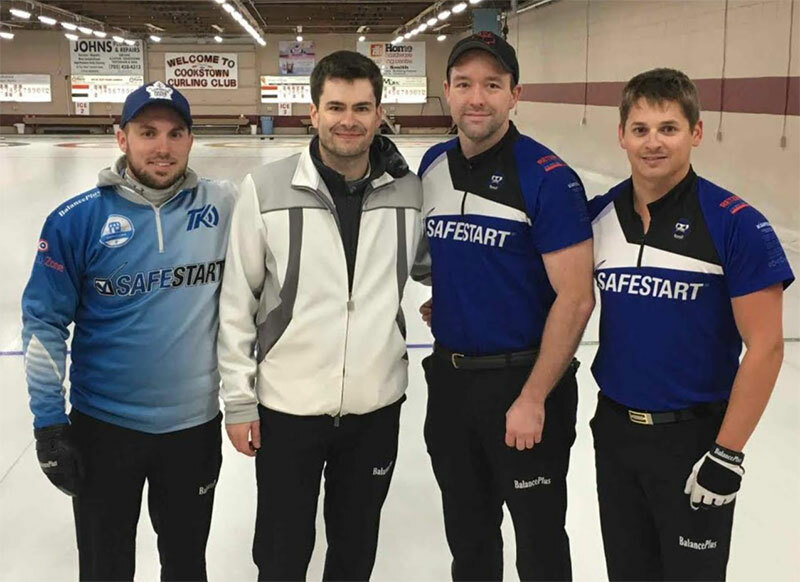 Mark Kean (Woodstock, ON) wins the CookstownCash presented by Comco Canada Inc, defeating Tanner Horgan (Sudbury, ON) 7-6 in an extra end at the Cookstown Curling Club in Cookstown, Canada. Kean with Colin Dow at third, Brad Kidd and Scott Brandon on the front end take home the $4,000CDN first place cheque along with 23.388 world ranking points, while Horgan receives $2,000CDN and 18.377 world ranking points for their second place finish. Starting with hammer, Horgan scored 2 in the first end, with Kean responding by scoring their own 2 in the second end. Horgan scored 2 in the third end, then forced Kean to a single in the fourth end to lead 4-3. Horgan scored 2 in the fifth end, then forced Kean to a single in the sixth end. Trailing by 2 without the hammer in the seventh end, Kean began the comeback with a steal in the seventh end, another steal in the eighth end, and again in the extra end for the 7-6 win. In the semifinals, Kean defeated Connor Duhaime (Brampton, ON) 5-2 and Horgan defeated Pat Ferris (Grimsby, ON) 6-1. Ferris and Duhaime earned $1,100CDN and 14.200 ranking points for their semifinal finishes. In the quarterfinals, Kean defeated Codey Maus (London, ON) 7-3, Horgan defeated Ian Dickie (Newmarket, ON) 7-6 in an extra end, while Ferris defeated Brent Ross (Harriston, ON) 7-5 and Duhaime defeated Cory Heggestad (Stroud, ON) 7-6. Maus, Dickie, Heggestad and Ross earned $750CDN along with 10.024 ranking points for their quarterfinal finishes. Kean went 2-2 in the 20 team round robin pools qualifying round. In their opening game, Kean lost 6-4 to Dickie, losing again to Chris Glibota (Sudbury, ON) 8-3, then responding with a 5-4 win over Rob Retchless (Toronto, ON). Kean won against Alex Leichter (Boston, USA) 6-1 in their final qualifying round match and held the best shootout score to squeak into the playoff round.